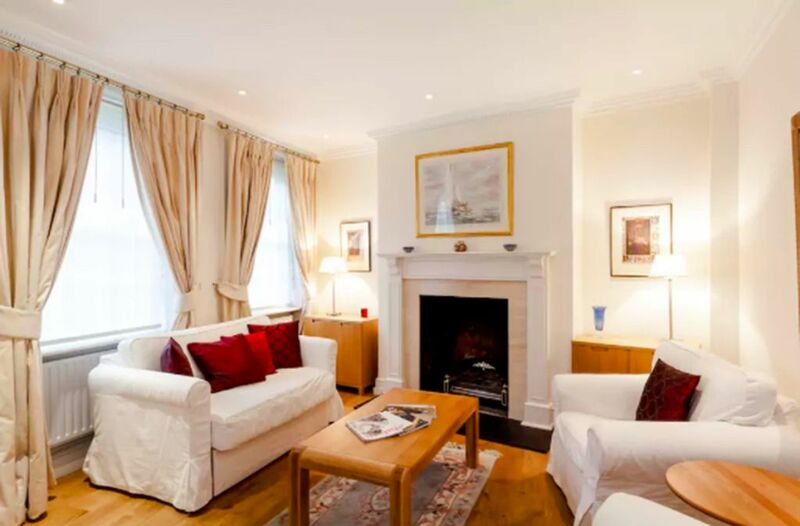 Lovely private mews house in the heart of Mayfair village, the most exclusive area of London. The ultimate central London pied a terre. Everything Mayfair and London has to offer is within easy reach, including shopping, restaurants and of course the parks. Nearest Tube station is Green Park, a 10 mins walk away. The mews house is the ideal retreat in the middle of the city. generous, light bathroom with separate shower cubicle and bath. This little gem is located in a quiet mews in the nicer part of Mayfair in walking distance to Berkeley Square und Park Lane. The rooms are spacious and bright. Lily is helpful and responsive and I will definitely stay again! Quiet, lovely comfortable flat. Safe area. Terrific location for famous London sites. Lot of Uber access. Very close to many pubs and restaurants and grocery store. Owner very easy to work with via email. Lily was wonderful to deal with regarding reservations and arrival. The location is convenient to everything. We ventured out every day and typically came home around eight or nine pm. Then we crashed and slept peacefully. We have no complaints. Thank you Lily for allowing us to rent your mews apartment. Great Mayfair Location for Two. My wife and I stayed here for 10 nights in October and found it very convenient for trips about the city. It is a two-person two-storied flat with direct entry off the quiet Hays Mews street. A little over 400 sq. ft. with accurate photos on the web site. The bedroom was large with a good bed somewhat between a USA queen and king plus ample closets and bureaus. The kitchen was well equipped. It is close to historic Sheppherd’s Market with pubs and restaurants. Food shopping is nearby. The two tube stations are less than a 10 minute walk. Security is good with several Near Eastern embasssies nearby. Lily, the manager, lives in an adjacent building although we did not need to interact with her during our stay other than that she arranged for us to have early access to the apartment as we arrived in the early morning. It would be helpful to have a working clothes washer and drier or clothes rack for drying. The lovely wood floors would be brilliant if refinished. A book with information about garbage disposal, recycling, a map of the area with list and location of grocery stores would be helpful. Also, it would be nice if a small table for dining could be squeezed in. Otherwise, it was a quiet haven for two in a lovely central location of London. Very comfortable home just blocks from Hyde Park, the Green Park tube stop, Shepherd's Market and so much more. I found myself counting cars worth more that $200K each day (generally saw a dozen or more). Wow! Three blocks from the chic shops. Two more blocks to Regent St. This place is all about location. Best part? On the quietest street around. We arrived London after a 14 hour journey from SFO. We went immediately to Lily’s office, met her rep, was asked to re-sign the agreement we already signed and then followed her rep to the unit....a short walk from the office. Rep opened the unit, gave us one key and quickly departed. She did not show us around the unit, she did not tell us how to use TV, wi-fi (no wi-fi password left in the unit). Whoa!…..upon entering……our hearts almost stopped beating.....visualizing the living room....it was not the clean and pristine unit pictured on the website.....the hardwood floors worn from seemingly years of use, no deep cleaning or waxing......the rugs, dirty beyond our comfort level.....the white sofa covers soiled, the pillows so worn they curved in from use, weren’t clean. Kitchen so small the two of us could barely squeeze into it (we expected small), the refrigerator had been turned off and smelled from old food left inside. Now up the stairs to the bedroom......wood slick with no slip prevention (don’t wear a pair of socks or you could easily slip), and like the living room floors in need of attention. The once white furry rugs on the side of the bed were matted and appeared dark under the fibers. The bed, missing a top sheet, nothing between us and the duvet– I wondered…did it get laundered after the last tenant? The bathroom only accommodates one person at a time. Black “grout MOLD” underneath the shower tile sealant. Lily said it wasn’t mold but even if it wasn’t, gosh, why not get rid of it so there’s no confusion. Turned on the shower and the shower stall flooded. Slow drainage issue normal, per Lily - you must stand in two inches of water while showering, blah! the toilet.....with a mind of its own, would not flush properly and the seat was an inch or so shorter than the bowl, blah! The sink, small, and unable to accommodate our personal items, the bath towels…old/worn and seriously uninviting. The area is lovely but the unit is old and tired and doesn’t reflect Mayfair and all of its loveliness. It might have 15 years ago. If you don’t mind mediocre, this unit may suffice. We emailed Lily on our second day to say that we checked out (5 days early) and she never replied or acknowledged it. This listing is deceptive, in our opinion.